Beyond that, Ohio and Wisconsin are considering decriminalization, while gubernatorial and legislative races in California and Florida stand to significantly impact the cannabis industry in those states. 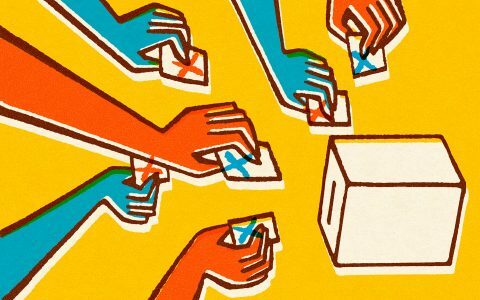 Leafly News previewed these races back in September, but we’ve circled back and updated them with the latest information on polls, financial contributions, and election data here to keep tabs on how the races are shaping up as Election Day approaches. 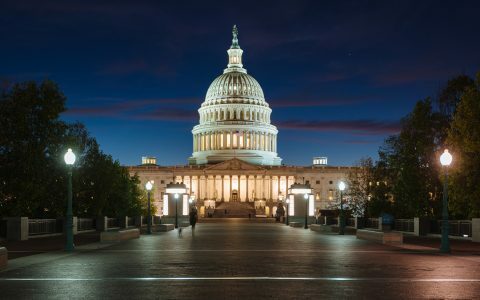 Cannabis reform has so far been limited mostly to action at the state level, but there are more and more indications that Congress may soon weigh in. US Rep. Earl Blumenhauer (D-Oregon), one of Congress’ most consistent and outspoken cannabis advocates, has vowed to advance a plan to fully legalize cannabis at the federal level if the Democrats take control of the House in November. A shift in control of the House could be a big deal for cannabis. While Republican voters in recent years have warmed to cannabis reform—a majority now support legalization at the federal level—House Republicans have been among the most stubborn opponents of efforts to loosen US cannabis laws. A shift in control of the House could be a big deal for cannabis. Michigan is considering full adult-use legalization with a measure, Proposal 1, that would allow the cultivation, possession, and sale of cannabis for adults 21 and over. Cannabis flower, concentrates, and edibles would be permitted under the measure, and it would allow adults to grow up to 12 plants at home. Polls show Proposal 1 has a comfortable lead, though it’s shrunk in recent weeks. A Sept. 5–7 survey found 62% of respondents supported the measure, 35% were opposed, and 3% remained undecided. An Oct. 26 poll found that support had fallen slightly, to 57%. A big question is whether those who favor legalization will turn out in sufficient numbers on Election Day. Michigan’s measure has the backing of pretty much every major cannabis legalization organization, but principal financial support has come from the Coalition to Regulate Marijuana Like Alcohol, a political action committee that’s raised about $2.3 million for the proposal, according to Ballotpedia. The Marijuana Policy Project (MPP) and its associated MPP Foundation have raised another $743,013. 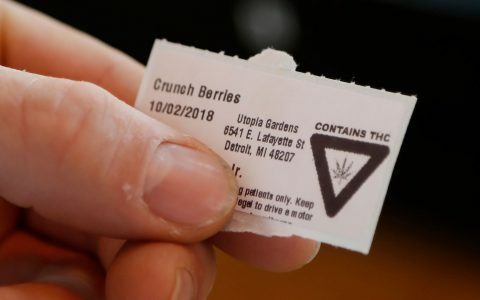 The opposition is funded almost entirely by the prohibitionist group Smart Approaches to Marijuana (SAM), which has given $1.06 million of the $1.5 million in funding received by the measure’s two registered opponents, the Committee to Keep Pot Out of Neighborhoods and Schools political action committee and Healthy and Productive Michigan. In terms of endorsements, the Detroit Free Press has recommended Michiganders vote yes on Proposal 1. Other papers have endorsed Proposal 1, as well. Meanwhile, a new report from the nonpartisan Senate Fiscal Agency concluded that the ballot measure’s backers had actually underestimated the potential tax revenue from legal cannabis, putting the official figure at a whopping $287.9 million. 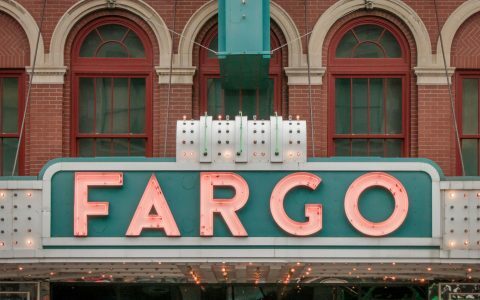 While the pro-cannabis campaign in Michigan seems to be beating the pants off of prohibitionists, at least in terms of fundraising, the opposite is true in North Dakota. 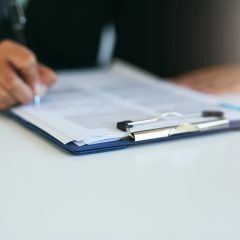 North Dakota is considering Measure 3, or the Marijuana Legalization and Automatic Expungement Initiative, which would bring about full adult-use legalization, including homegrow. Recent filings show opponents of the measure out-raising their opponents by a nearly 4–1 margin. 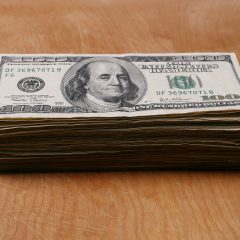 LegalizeND has so far raised about $32,500, according to late September campaign disclosures, while Healthy and Productive North Dakota, one of the organizations opposed to the measure, has raised about $114,000. And while LegalizeND’s donations came from a smattering of private individuals and organizations—including travel guide Rick Steves and the National Organization for the Reform of Marijuana Laws (NORML), 100% of Healthy and Productive North Dakota’s funding came from SAM Action, a DC–based prohibition group. Polling in the state has been all over the place. Another North Dakota organization opposing the measure, North Dakotans Against the Legalization of Recreational Marijuana, raised about $58,000, mostly from the state’s business community, including the beer, automobile, and oil industries. State Attorney General Wayne Stenehjem, a Republican, contributed $1,000 as well. Is that money affecting public opinion? The answer is… maybe. Polling in the state has been all over the place. An August poll showed only 38% of North Dakotans supporting Measure 3, with 56% opposed. By mid-October, another poll showed nearly the opposite, with 51% of respondents supporting the measure and 36% opposed. Less than a week after that, yet another poll found just 26% in favor and a whopping 65% opposed. LegalizeND has criticized some of the polling methodology, suggesting that such a drastic swing wasn’t in line with reality. 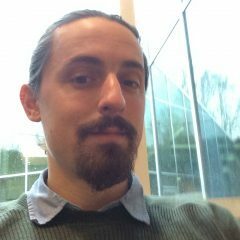 LegalizeND spokesperson Cole Haymond pointed out that the August poll relied heavily on landlines, which are largely obsolete and skew toward older individuals, who disproportionately oppose legalization. “It is quite simply malarkey that this could feasibly be accurate,” Haymond said. Survey numbers aside, it’s worth noting that the majority of North Dakota’s law enforcement organizations, as well as its pharmacy and medical organizations, have come out against the measure. Most of the state’s business groups have, too. The deck seems stacked against full legalization in North Dakota, but it’s too soon to tell for sure. State voters took most observers by surprise when they voted overwhelmingly in 2016 to legalized medical marijuana. Utah voters will see a medical marijuana initiative, Proposition 2, on their ballot this November. But in what’s emerged as a grand compromise between supporters and opponents, state lawmakers are now promising to introduce a bill that would legalize cannabis for medical use even if Prop. 2 falls through. 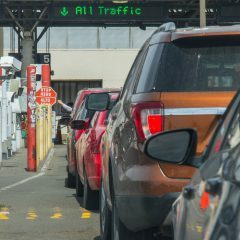 The proposed bargain would scrap or amend a number of Prop. 2’s provisions. The compromise bill would prohibit homegrow, for example, and would allow only five privately owned and one public dispensary in the state. 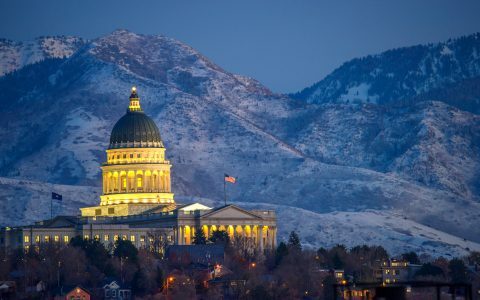 Many legalization supporters are happy with the compromise, as it seems to guarantee cannabis reform in Utah. And because a passed ballot measure can be amended or repealed by the Utah Legislature, it’s plausible that lawmakers would change Prop. 2’s more lenient provisions even if it did pass. Support was strong for Prop. 2, with polls earlier this year showing 64% support among Utah voters. That level of support fell slightly after the Mormon church came out in opposition to the measure, and since the announcement of the planned compromise, it’s fallen further. Only a slim majority now support Prop. 2’s passage. Voters in Michigan, North Dakota, and Utah each have one legalization measure to consider. 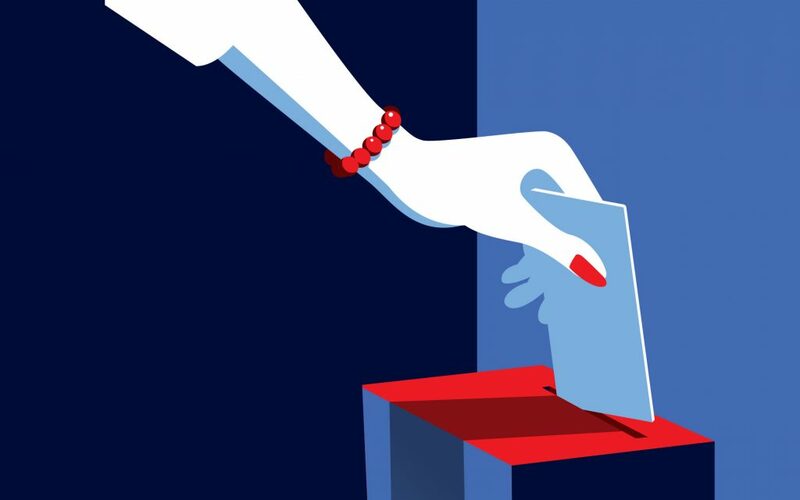 Voters in Missouri have three: Amendment 2, Amendment 3, and Proposition C.
Each measure legalizes medical cannabis for various medical conditions, including epilepsy and multiple sclerosis, but they differ in key ways. Proposition C is a statue—a simple state law—which means the legislature could make change to state cannabis law on its own. Both Amendment 2 and Amendment 3, on the other hand, change the state’s constitution. If lawmakers want to amend those laws, any proposed changes would need to pass a public vote. Amendment 2 has won the support of many established advocacy groups, such as NORML and Marijuana Policy Project. All three of the proposals look likely to pass. 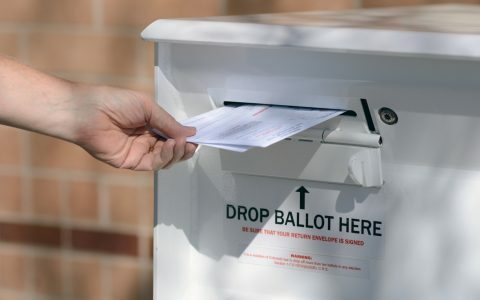 A poll released Oct. 11 and conducted by bipartisan research agency 1st Tuesday Campaigns showed Amendment 2 in the lead with 69% support, followed by Amendment 3 with 64% and Prop. C with 62%. Amendment 2 has also encountered the least opposition, polls suggest. The Oct. 11 poll found 17% opposition to Amendment 2, 23% opposition to Amendment 3, and 25% opposition to Prop. C.
Amendment 3, meanwhile, is backed by the Find the Cures PAC, which is “99.999 percent” funded by Missouri physician Brad Bradshaw, who has contributed $1.77 million, according to Ballotpedia. It would establish a Biomedical Research and Drug Development institute, to be headed by Bradshaw and funded by a 15% tax collected on medical cannabis sales. Proposition C, meanwhile, is backed entirely by a political action committee called Missourians for Patient Care, whose chief donor, at $1.27 million, is a nonprofit that shares office space with influential Republican megadonor Rex Sinquefield’s lobbying firm. There was a PAC registered to oppose the three cannabis proposals, called Citizens for SAFE Medicine, but it appears never to have raised or spent any funds. A number of other states will be see votes on local measures and elected officials who stand to either affect that state’s existing cannabis industries or influence the future of legalization. 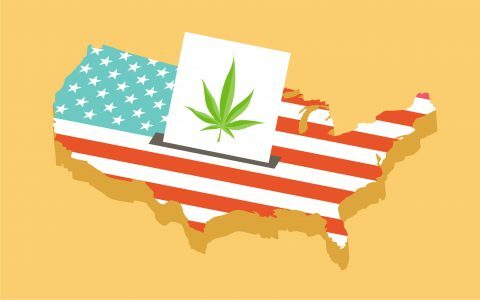 Here’s a quick update on other important cannabis races. With Lt. Gov. Gavin Newsome, a Democrat, enjoying a double-digit lead over Republican candidate John Cox, it’s Newsom’s race to lose. 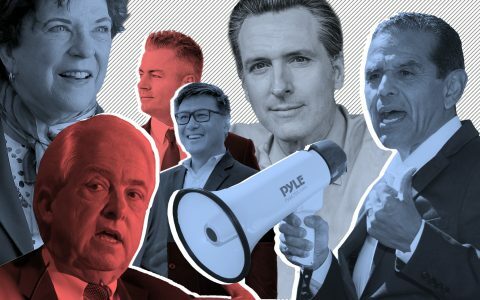 That’s not exactly bad news for cannabis supporters, as Newsom has earned a reputation as one of the most pro-legalization candidates in the state—and certainly one of the most outspoken. He helped drive 2016’s Prop. 64, which legalized adult-use cannabis in the state, and urged fellow elected officials to evolve their views on legalization. Cox, meanwhile, is on the record “certainly” supporting medical marijuana—but he’s against full legalization for adult use. 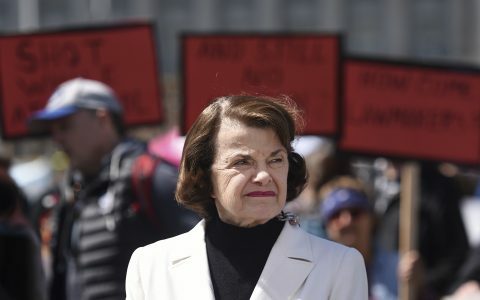 Sen. Diane Feinstein, despite her historical embrace of the drug war, is newly warming to cannabis reform, recently co-sponsoring a federal bill that would deschedule cannabis. Her challenger, state Sen. Kevin de Leon (D-Los Angeles), also supports legalization—and has for much longer—but polls have consistently shown Feinstein on track to win comfortably. 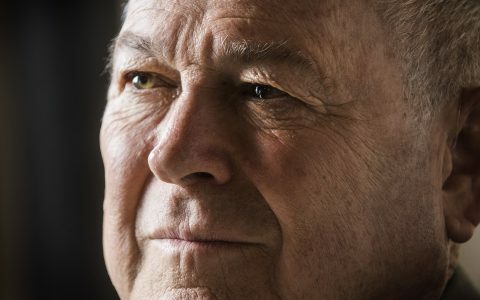 Rep. Dana Rohrabacher is one of the most pro-pot Republicans in the House, but he might not be there much longer. Democratic challenger Harley Rouda was tied in polls with Rohrabacher, at 48 percentage points apiece in the most recent UC Berkeley poll. Rohrabacher’s support for cannabis reform has helped him among many in the cannabis industry, but his history of supporting Russia and making pro-Putin statements has become a liability as federal investigators investigate Russian campaign meddling. 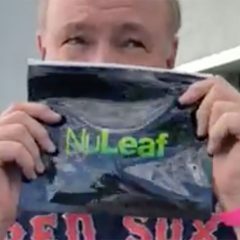 Unfortunately for cannabis voters trying to make an informed decision, however, opponent Rouda hasn’t outlined any real cannabis policy to speak of. As far as we know, he’s neutral. In Florida’s gubernatorial election, the race is very much a “progressive pot reformer vs. prohibitionist” affair. 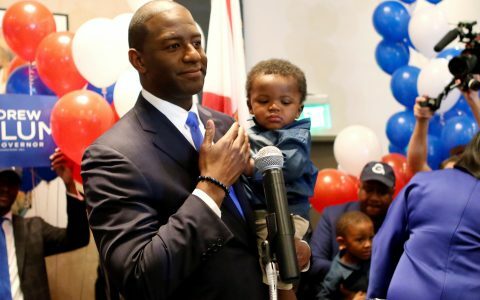 Rising Democratic star Andrew Gillum, the current mayor of Tallahassee, is a supporter of adult-use legalization and would be instrumental in helping implement the state’s 2016 medical marijuana law. The Republican candidate, US Rep. Ron DeSantis, opposes adult-use legalization and has voted against measures in Congress that would ease cannabis access for veterans. An Oct. 15–16 poll showed Gillum and DeSantis neck and neck, with 47% of respondents favoring Gillum and 46% favoring DeSantis. It’s worth noting that, while the margin has always been pretty close, Gillum has been ahead of DeSantis by at least a percentage point in every recent poll. Ohio hasn’t had the best luck with cannabis ballot initiatives. In 2015, the state voted down a legalization measure, Issue 3, that would’ve created a monopoly in the state. This time, reformers are trying to take a more modest step: decriminalization. State Issue 1 would downgrade crimes for low-level drug offenses to misdemeanors. Possession, purchase, or consumption of cannabis would be a misdemeanor penalized by probation only—no jail time—while distributing cannabis would remain a felony. It’s an effort to reduce Ohio’s prison population and shift towards treatment instead of incarceration. The measure would also prevent felony offenders from going back to jail for small drug-related probation violations, and it would direct funds saved from prison spending towards drug treatment programs. Recent polls show the measure passing with a small but comfortable margin. The approach has won the support of a diverse coalition—like Newt Gingrich, John Legend, and ACLU diverse. 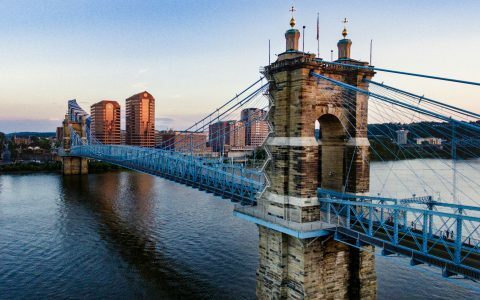 The Ohio Safe and Healthy Communities Campaign, the organization running the campaign in support of the measure, has raised $13.9 million, according to Ballotpedia, which included a $3 million donation from the Chan Zuckerberg Foundation, which was founded by Mark Zuckerberg and his wife, Priscilla Chan, as well as a $1 million contribution from Netflix CEO Reed Hastings. Opponents, meanwhile, have raised just over $1 million total. Nearly every active politician in Ohio, however, has come out against the initiative. Most have said that allowing the possession of larger quantities of cannabis would encourage use and make Ohio a destination for drug dealers. Gov. John Kasich opposes the measure, for example, as does his potential successor, current Ohio Attorney General Mike DeWine, who is running for governor as a Republican against Richard Cordray, a Democrat who supports Issue 1. Despite that, recent polls show the measure passing with a small but comfortable margin. A poll conducted in early October by Suffolk University and the Cincinnati Enquirer found 43.2% of respondents in favor of Issue 1, 37.8% against, and a considerable 19% undecided. Another poll from early October, by the Baldwin Wallace University Community Research Institute, found similar numbers, with 47.9% in favor, 30.5% opposed, and 21.7% undecided. If the numbers hold, it looks likely that Ohio will no longer be sending people to jail for simple cannabis possession. And while that may not be full legalization, it’s still a huge step towards ending the war on drugs. Even if Issue 1 fails at the state level, the city of Dayton might still be ditching drug war policies on pot. A city ballot measure would eliminate fines and possibly jail time for simple possession of cannabis. Mayor Nan Whaley has called the war on drugs a failure and decried the practice of putting people in jail for simple possession. 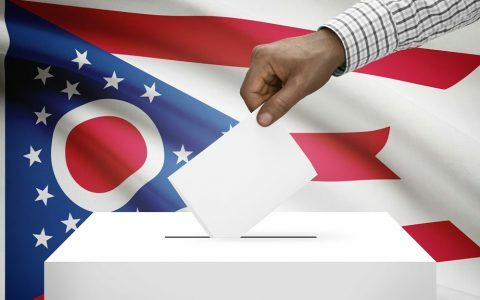 It’s a local measure, but it looks likely to pass: A Twitter poll conducted by Ohio Politics in August showed 84% in favor of the measure. In Missouri, Amendment 3 is preposterous, so I’m not even going to address that here. The intent of the constitution is to affirm the rights of the people, and limit government authority. Amendment 2 has that completely backwards. A2 is pro-big-government, and anti-patient. It constitutionally prohibits anyone from extracting the healing resins for themselves, even if they install all the surveillance and security DHSS cares to require to grow their 6 plants at home. A2 Section 7. (8); so you can smoke your 6 plants, but you are constitutionally prohibited from extracting the healing resins to turn it into medicine for yourself. This is downright dangerous verbiage, granting DHSS nearly god-like constitutional authority. New Approach Missouri has audacity to claim their prohibitionist measure is establishing rights for patients, and taking decisions OUT of the hands of bureaucrats, when it grants unlimited authority to bureaucrats?! Shameful. While on the brink of the inevitable relaxation of federal cannabis prohibition, Amendment 2 is an attempt to hijack authority over an industry through Big-Government hyper-regulation. The unnecessary bureaucracy needlessly raises the cost to the consumer, making medical marijuana unnecessarily cost-prohibitive for patients in need. Amendment 2 is big-government, pro corporatism, anti-patient and is effectively Prohibition 2.0.